Bangkok Bank has launched new mobile banking functionality, based on Fiserv’s Mobiliti Edge mobile banking and payments platform. The bank’s mobile solution is known as Bualuang mBanking. It enables Bangkok Bank’s customers to access financial services via a mobile phone, tablet or the Apple Watch. Fiserv and Bangkok Bank have been working together for a number of years. 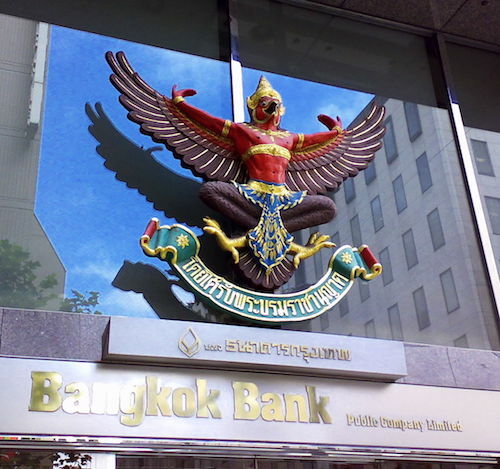 The vendor’s Mobiliti Edge platform was first installed at Bangkok Bank in 2013. Fiserv’s Mobiliti Edge also supports the bank’s mobile peer-to-peer (P2P) payments offering. Customers can make a payment using just the recipient’s phone number. The funds are deposited into the receiver’s designated account. Funds can be sent to anyone with a mobile number and deposit account, even if they don’t bank with Bangkok Bank. Another feature underpinned by Mobiliti Edge is “mAlert Services” – advanced push notifications and alerts that can be received directly through the app. Chartsiri Sophonpanich, president of Bangkok Bank hails the bank’s work with Fiserv as “a great success”. “Over the past several years, we have been working on shifting our product set and culture to deliver leading digital experiences, and the mobile channel has been central to our strategy to support more users and new services,” Sophonpanich states. Bangkok Bank is one of the largest banks in Thailand, with $79 billion in assets, 1,200+ branches, 17 million customers and 26,000 employees. 1.3 million customers of Bangkok Bank use its mobile banking services today. Thailand’s Bangkok Bank has installed a new mobile banking and payments platform built by technology company Fiserv, which it says will give customers better security and the bank a stronger presence on mobile devices. Ondot Systems' Mobile Card Services solution is coming to Asia.